Adam McCade, apprenticed to Mick Kent, was entitled to the accolades he received for a brilliant ride on You Think So, to win the Bitalli Handicap, named after the winner of the 1923 Melbourne Cup, trained by a doyen of the turf, James Scobie. 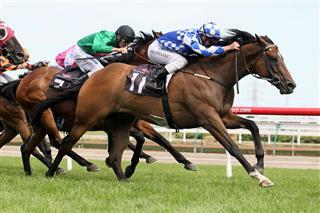 The starting gates had no sooner parted when McCabe allowed the gelding to take up the ascendancy, and thereafter was never headed over the 2550 metres trip. It was an outstanding ride, he rated the gelding to perfection, he never got bustled when Altonio raced to his girth and always seemed to have the issue under complete control. The gelding was the punters elect after two recent wins at Moonee Valley, and shortened up to replace Waratone as outright favourite at close of betting. While no firm decisions have been made at this stage, You Think So could go back to where he was bred to run in the Auckland Cup over 3200 metres, to be decided on a mid-week date on March 6. Crafty Cruiser was running on well at the end of the trip, suggesting he is likely to win similar type race in the coming weeks. Waratone, a winner of four, was always travelling well, but failed to quicken in the run home, he may have been feeling the firmer ground. A moment of joy quickly turned to tragedy when the winner of the Red Tempo Handicap, Beltrois, had to be humanely put down, soon after breaking a leg, within a few metres of passing the winning post. It was a eerie feeling that greeted the minor place getters as they returned to scale, the winner was missing, he had won, he had given his all, but at what price?. A crowd gathered to view the stricken animal as he hobbled about on three legs, not fully aware of his ultimate end I turned my back, I had seen it all so many times before in a long career. 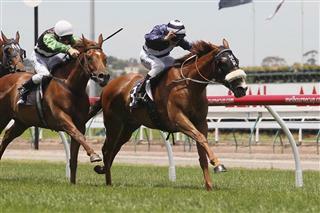 Beltrois was having his first start since Oaks Day last year; he had won five races and seven placings from 23 starts. He was owned and bred by the Griffiths family; their good friend, Don Healy, also had a share in the gelding by Bel Esprit. The only bright note on a very ordinary day was jockey, Ryan Maloney, the rider of Beltrois, did not sustain any serious injury in the incident. Kane Harris had that look of satisfaction training his first winner at Flemington yesterday, via Future Solution in the Spotless Plate. That was the gelding’s fifth start since June at the headquarters, and whilst he has never disgraced himself, as yet he just has not quite delivered. He certainly had support in the ring as he started third favourite after Lord of Brazil blew dramatically in betting, for no apparent reason. Future Solution was on a promised trip to Tasmania, but that will be aborted, as he is not a good traveller he will remain here now to contest suitable races over the summer months, and should be capable of getting at least 1600 metres. Things are beginning to fall into place for Harris, he has sent Just Forget It over to Tasmania for the Guineas and the Derby, he is convinced the colt will stay after his good third in the S A J C Sires Produce Stakes, over the Adelaide Cup carnival. 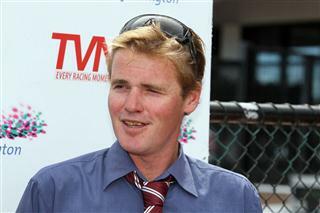 Like so many of our current trainers, Harris graduated from the Picnic fixtures 13 years ago to establish himself at Mornington where he has built his team up to 25 horses in work. It is not a labour of love any more, he is a true professional trainer now and beginning to see the results that he thoroughly deserves. Now that Future Solution and Kane Harris have broken their ducks at Flemington, they are likely to return again shortly for another serve. 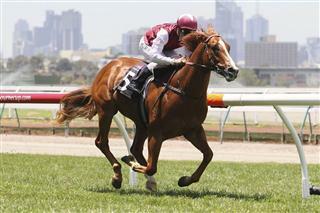 Safeguard looked as good as Sepoy when opening his winning account in the Christmas Season Plate over 1000 metres at Flemington yesterday. After beginning quickly he was soon travelling at the head of affairs, from that point on it was a mere formality, nothing was taking any ground off him in the run home, he won with quite a bit in hand. This week will be decision time whether the colt is given a short break, with the Blue Diamond Stakes the objective, or given a longer time off and set for the Golden Slipper Stakes. Whilst the field of seven was made up of six first starters, it didn’t take punters long to sort out a favourite once betting opened, Safeguard was the one they wanted, his price hardly moved from $2.80. Safeguard showed a great turn of foot, once the gates opened he was soon in front, at one stage about 300 metres out it looked for a stride or two that Mount Zero may bother him, but the issue was soon put to rest. He is by the ever consistent Exceed And Excel, among the best sprinters of his generation, from a daughter of Canny Lad, in Preserve, a half sister to Denman, and as you would expect from Darley an excellent pedigree. The Melbourne Racing Club and Swettenham Stud have again joined forces to present the Swettenham Stud Summer Championship for the second year. Last year series proved highly successful at a time when racing can be a little flat, between the spring and the autumn. Commencing on Boxing Day the series, comprising of 10 heats, will culminate on February the second, with the final of $100,000, plus free service to the highly regarded sire, Master of Design, the only son of Redoute’s Choice to win at weight for age. The lofty prize comes in addition to the substantial prize money offered throughout the series, with 10 of the 11 races incorporating at least $80,000 in prize money, with three of the races offering $100,000 or more. 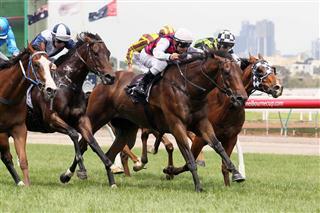 Races in the series range in distances of 1300 metres to 1600 metres, from 0-78 rating to Listed level. The winner of the Summer Championship will be determined by the horse that accumulates the most points throughout the series. The inaugural Swettenham Stud Summer Championship was won by Over Quota, his connections were rewarded with a free service, of a mare of their choice, to the brilliant imported sprinter Equiano, whose oldest progeny are foals .